Looking Ahead – Will 2014 Be Better? We all may well agree that 2013 was just plain weird. So, what’s next? Well, 2014 is the 100th anniversary of the beginning of World War I. It seems that all of our recent wars result from World War I, directly or indirectly. Perhaps we should just re-name the era the Second Hundred Years War. Are there brighter things ahead? Do we have something to look forward to? Here are some suggestions from some of my favorite sources. 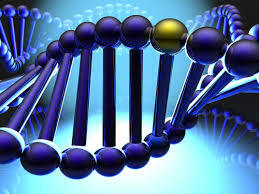 Meet your genome – Science magazine suggests that the era of personal medicine is just beginning. We’ll sequence your genome to develop personalized treatments for diseases like cancer or multiple sclerosis. In fact, it won’t be long before we sequence the genome of every newborn baby, just as a matter of course. Meet your advertiser – as medicine gets personal, so does advertising. We’re changing from broadcast adverts to narrowcast – targeting demographic slivers wherever we can find them. Soon, it will be personalcast – advertising aimed at you and only you. Brick-and-mortar stores are even developing tools to track your movements in the store and make real-time special offers based on where you are. Meet the robots – Technology Review notes that robots are ready to take their place in the workforce. They’ll start in dangerous places like battlefield rescues, but they’ll soon be able to “integrate seamlessly and safely in human spaces.” How will they learn? By studying us. Meet your drone rescuer – the World Bank says that drones will be a “game changer” in disaster relief. They’ll help pinpoint where the problems are and drop supplies to isolated survivors. They might even “drone-lift” survivors to safety. Meet an extinct species – 2014 is also the 100th anniversary of the extinction of the passenger pigeon. There are plans to bring it back. What next? I wonder if a T Rex would make a good pet. Meet Consumption 2.0 – why bother to own things? Why not just pay for each use? We see it with music streaming … why not other things? We could conceivably stream books and magazines and pay for each page we read. Similarly, I just bought a new mobile phone. But I didn’t really buy it. I bought a service that provides me a phone and the right to upgrade it once a year. With technology changing so fast, why would you buy it? Insert your computer here – biological transistors should allow us to insert computers into any living cell. That may help us repair or replace diseased bits of soft tissue just like we can replace bones and joints today. Indeed bio-computers might help us understand our own brains better. We didn’t really understand what our hearts did until we invented pumps. We may not really understand what our brains do until we build biological computers. Meet the world champion – of course, 2014 also brings us the World Cup of football. My country is in the “group of death” and I fear that we won’t make it to the knockout round. My money’s on Germany.